Glenmuir Golf Clothing & Leisurewear | Planet Golf UK. At the heart of the game of golf lies a Scottish brand name that is synonymous with quality in the golf and leisurewear market. 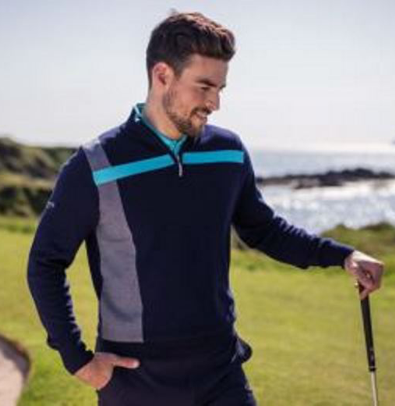 Glenmuir has established a position as one of the most prestigious and successful golf and leisurewear brands. From Europe's Ryder Cup elite, to club members around the world, Glenmuir clothes golfers at all levels of the game. The company's passion for quality golf and leisurewear is as strong today as it was over a century ago in 1891 when it set up home in Lanark, in the beautiful surroundings of the Scottish Clyde Valley.